For many of us, the holiday season is a joyous time with family and friends, celebrating and exchanging gifts. But for some families – those dealing with high medical bills or unemployment, or other financial difficulties — holiday cheer can be in short supply, especially when children are involved. 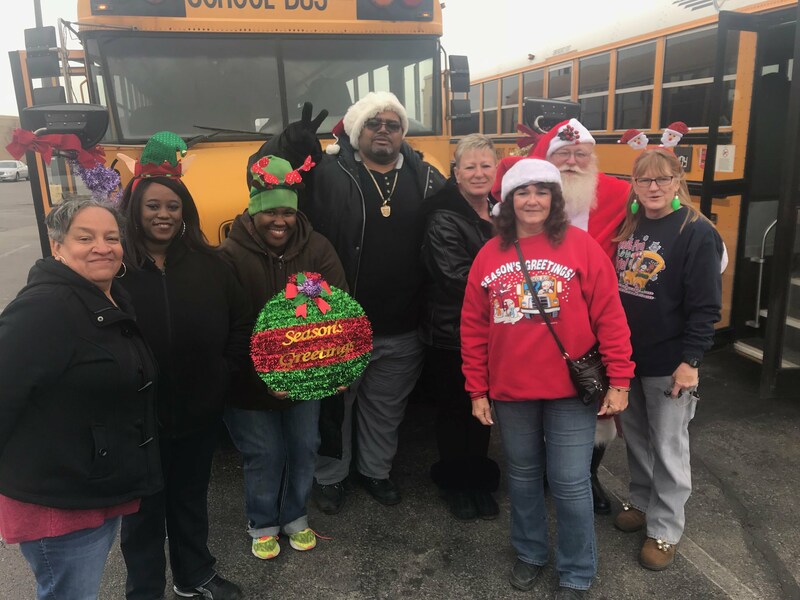 Making life a little better for kids at Christmas is why retired bus driver and member of Local 336 Robin Thompson started volunteering for the Firefighters for Kids organization. The group started in 1977 when a firefighter responded to a call and met a family who had fallen on hard times and was unable to give their children any presents. Firefighters for Kids started in that firefighter’s basement to provide for that family, but the group quickly outgrew that space. It now provides toys and gifts to thousands of children every year. And it relies on volunteers like Robin to make that happen. She had been working with Firefighters for Kids for a few years when a coworker at the Columbus City Bus Garage asked if she would recommend the organization if he wanted to donate toys. “Dwayne (Hughes) knew I volunteered, and he said he wanted to do something for kids in our community. And that’s how our Fill the Bus Toy Drive started six years ago,” Thompson said. She retired two years ago, but Thompson still volunteers with the Fill the Bus event. She credited Hughes and Mickey (Michelle) Osbourne as two of the leaders of the effort. Hughes and Osbourne are both bus drivers and members of Local 336. Staff in each school and building drop new, unwrapped toys in the boxes for a few weeks in November and December. Then, volunteers pick up the boxes full of toys and store them at the bus compound until delivery day. “We have learned a lot over the years, so each year gets better and we collect more toys and even bikes every year. We started with one bus, but now we are filling two buses,” Thompson said. She noted that the volunteers especially enjoy filling the buses, decorating the buses and delivering the toys to the Firefighters for Kids toy drive held each year at NBC Channel 4 studios. “For the last three years, Superintendent Dan Good has met us when we are decorating the buses. He buys us breakfast and goes with us to deliver the toys. The district has been very supportive of us helping these families – letting us use the bus compound to store the toys and loaning us the two lift buses to make the deliveries. We appreciate the support because helping these kids is really important to us. It just means a lot to make sure they have a Christmas,” Thompson said.